MADISON, Wis. (AP) — Foxconn Technology Group announced Monday that it will invest $100 million in engineering and innovation research at the University of Wisconsin-Madison, making it one of the largest gifts in the school's history that comes as the Taiwan-based electronics giant builds a factory in southeastern Wisconsin that would be the company's first of its kind in North America. 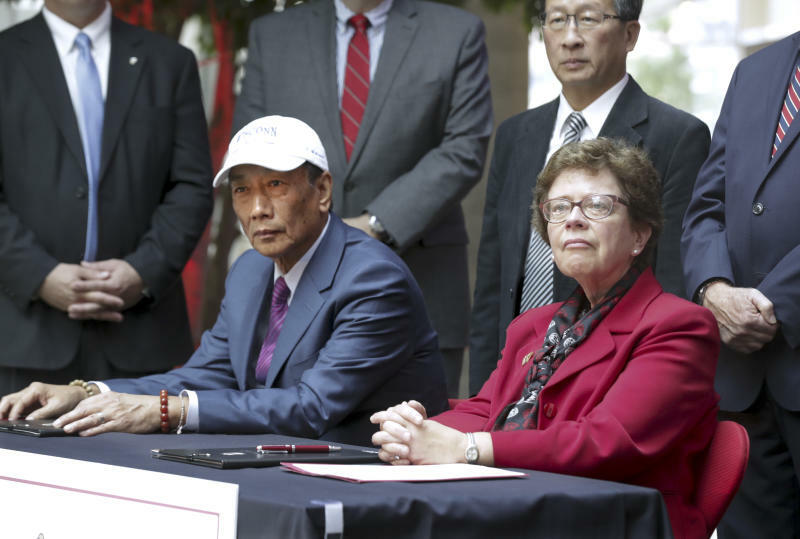 Foxconn CEO Terry Gou and UW-Madison Chancellor Rebecca Blank signed an agreement that also calls for the creation of a science and technology institute on the UW-Madison campus that will collaborate closely with the display screen manufacturing plant, which is being built in Mount Pleasant, about 100 miles (160 kilometers) southeast of Madison near the Illinois border. 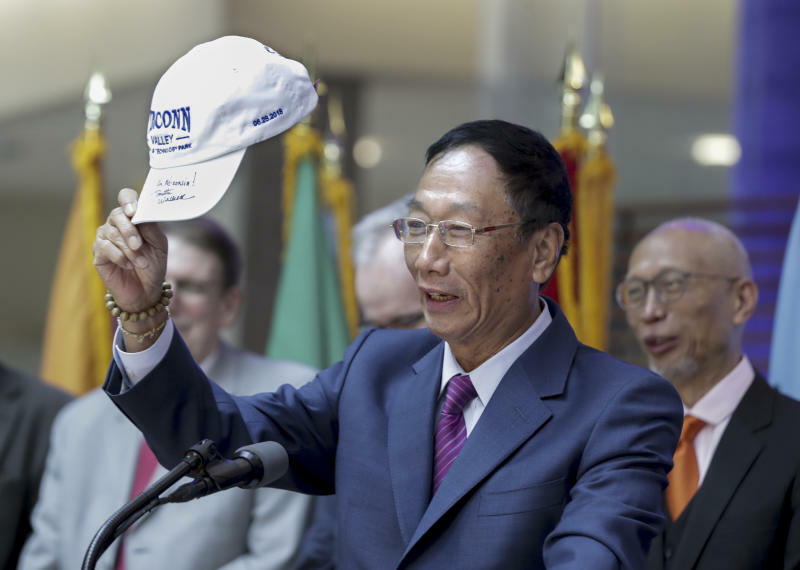 Foxconn, the world's leading electronics manufacturer, chose Wisconsin for its first plant outside of Asia after receiving generous incentives from the state. Foxconn says the manufacturing campus could cost up to $10 billion and eventually employ 13,000 people. Finding those workers was expected to be a challenge in a state with low unemployment. The deal announced Monday would provide a conduit of potential interns and employees from the state's largest university to the Foxconn plant. "We're going to be a long-term community member in the state of Wisconsin," said Foxconn executive Louis Woo. "We see ourselves as an enabler of talent, that's creation of jobs. We also see us as an enabler of technology." The institute's main location will be at the Foxconn manufacturing campus in Racine County, but it will also have a presence in Madison. To receive the $100 million from Foxconn, the university will have to raise an equal amount over the next two years as part of a sub-campaign of its $3.2 billion All Ways Forward fundraising effort. 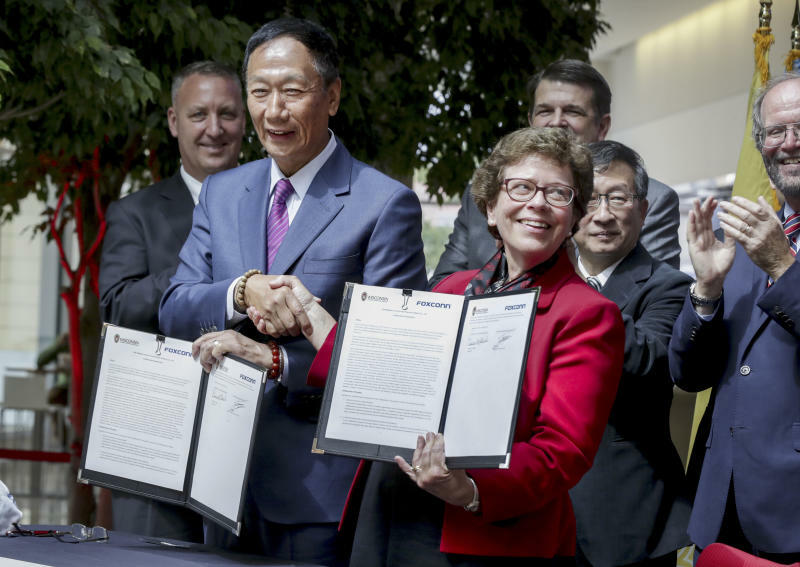 The bulk of Foxconn's $100 million, which Blank said was the largest industry research partnership in university history, will go toward constructing a new building on the engineering campus. "I'm excited," Blank said. "You don't get $100 million gifts very often." Foxconn has also announced plans to open its North American office headquarters in Milwaukee and technology centers that could employ hundreds in Eau Claire and Green Bay. Gov. Scott Walker has praised those investments outside of Racine County, where the 22 million-square-foot manufacturing campus is being built, saying it shows the positive statewide economic impact of the project. Wisconsin voters appear torn on the value of the Foxconn project. In a Marquette University Law School poll last week, 44 percent of registered voters said the state is paying more than the plant is worth. A majority, 61 percent, said they felt the plant would substantially improve the Milwaukee-area economy, but an equal percentage said businesses where they live will not directly benefit.